When Trish heard out about The Longest Table, she couldn’t contain her excitement, dinner with friends to fight the disease that invaded her body? Bring it on! In August of 2015 when she was 46-years-old Trish was diagnosed with aggressive breast cancer. Fortunately, after a course of aggressive treatments Trish received the greatest news of all, she was cured. Now she is determined to see research continue to save the lives of others diagnosed with the heartbreaking disease. 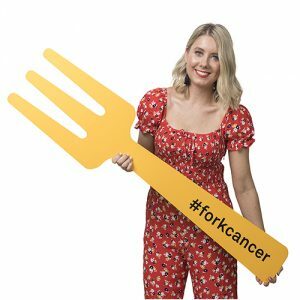 She’ll be hosting her second Longest Table this year to raise more vital funds for cancer research. Trish’ host tip? Approach local businesses to donate items to auction off on the night, get an auctioneer involved and you’ll raise more funds whilst also having a great time! Sadly Tania knows all too well the devastation cancer brings, having lost too many family members of her own to the disease. But she’s determined to see an end to the heartbreak. 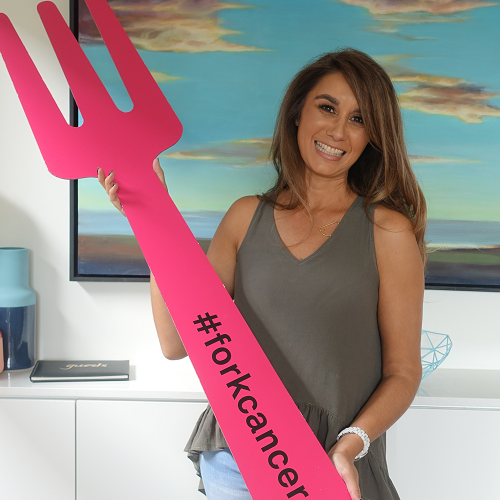 Back for her fourth year of hosting a Longest Table, Tania is forking ready to give cancer the middle finger. Each year Tania themes her Longest Table to a song with a poignant connection to the cancer battle, last year her theme being “Here Comes the Sun” and guests asked to dress with a touch of sunshine. 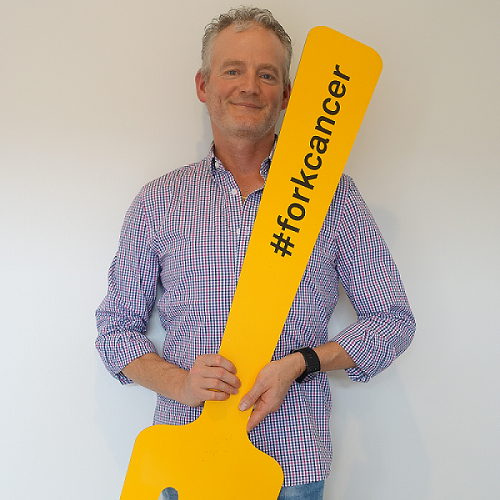 An original forkstar, Brenton has been hosting a Longest Table since our inception six years ago! Having had loved ones touched by cancer, Brenton sees TLT as a great way to give to a good cause whilst also have fun at the same time – as he says it’s easier than running a marathon! Brenton’s hot tips for your Longest Table success? Get a good group of friends together, plan well and don’t stress too much about the cooking – less is more! 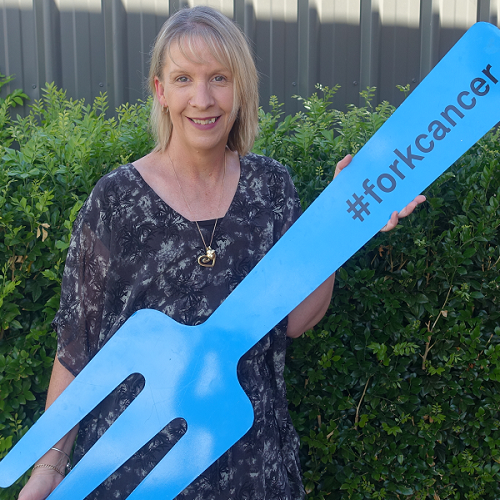 Coming into her seventh year of hosting a Longest Table, our forktastic host Kathryn has been there from the very beginning! Having worked in medical research for over 20 years, Kathryn knows just how vital the funds you raise are in helping our researchers improve treatments and find a cure for cancer. Starting small in her first year of hosting, Kathryn has since grown her events to include themes and raffles to encourage more donations from her guests. She has some forking awesome advice for you too – have fun with it! Keep your Longest Table within your comfort zone, people are there to support a cause you believe in. 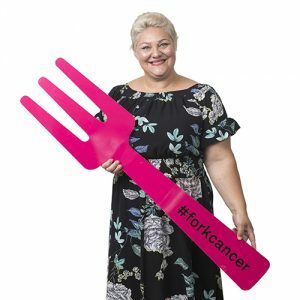 For Lorelei Thomas, each year hosting a table is another year raising funds to give cancer the middle finger. Lorelei has become one of our inspirational Host Heroes after raising over $25,000 in her four years hosting a Longest Table! Unfortunately, Lorelei’s family have been devastated by cancer, her sister is a breast cancer survivor but her brother lost his battle with brain cancer three years ago. There is also a significant family history of melanoma. Each year, Lorelei puts in an amazing effort in organising her event and securing donated prizes for her raffles and auctions which are kindly donated by her generous local community in Bright, Victoria. Hosting four years in a row Lorelei has one piece of advice to those wanting to host their own table – just do it! She says it’s extremely fun and rewarding. 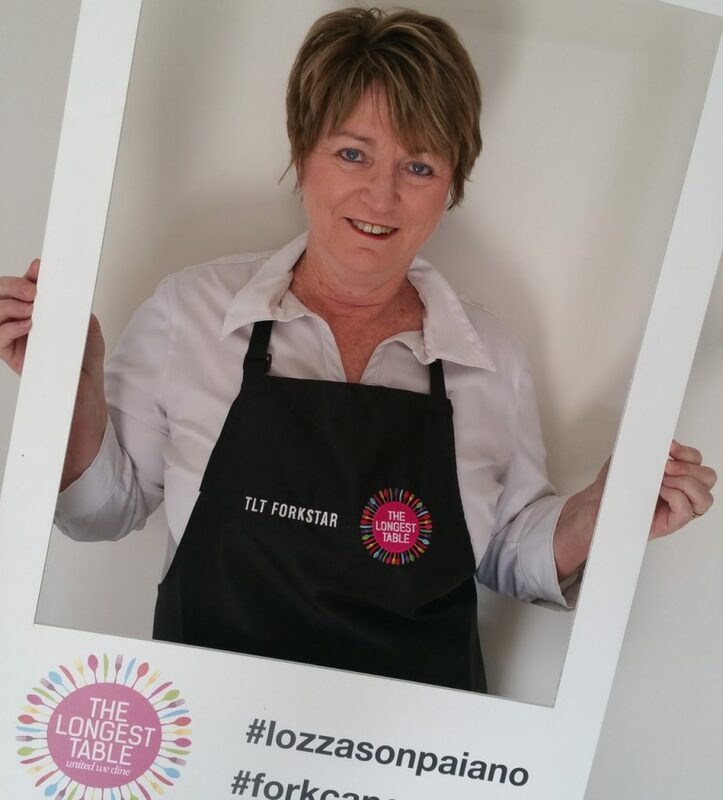 After hosting her first successful Longest Table in 2018, our passionate Community Ambassador Sarah Waldron is back this year! Promising to deliver a Longest Table bigger and better than last year, it’s Sarah’s personal motivation that drives her. Unfortunately, her mother is battling breast cancer, her father is undergoing treatment for skin cancer and Non-Hodgkin Lymphoma in his bowel and her 30-year-old brother had his eye removed two years ago from a rare optical melanoma. With this motivation behind her, Sarah is determined to raise lifesaving funds to stop the heartbreak of cancer. Diana was diagnosed with Non-Hodgkin Lymphoma in 2018, which came as a complete shock. Thankfully, Diana is now in remission and is determined to help support research that will one day see a cure for cancer. 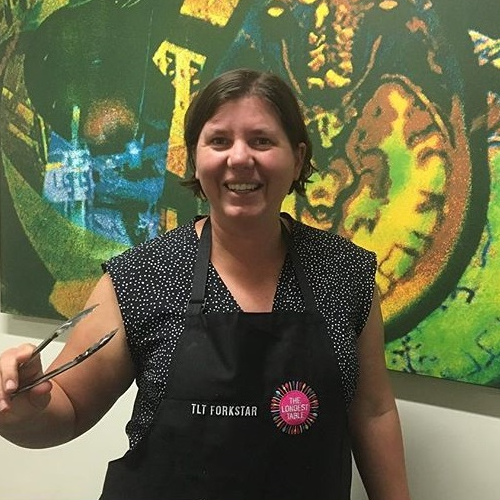 She is combining her passion for food and her loved ones by cooking a tasty dinner surrounded by her friends and family as a way of celebrating the end of her treatment.